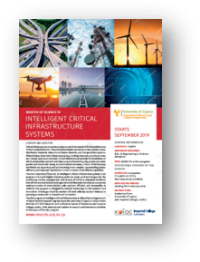 The MSc in Intelligent CIS programme has been jointly developed by the University of Cyprus and Imperial College London during the KIOS CoE Teaming project. The KIOS CoE Teaming project is funded by the European Union’s Horizon 2020 research and innovation programme under grant agreement No 739551 and the government of the Republic of Cyprus through the Directorate General for European Programmes, Coordination and Development. Complementary funding for the KIOS CoE is also provided by the University of Cyprus and Imperial College London.